Australian nun Robina Courtin returns to teach in Laguna Beach next month. 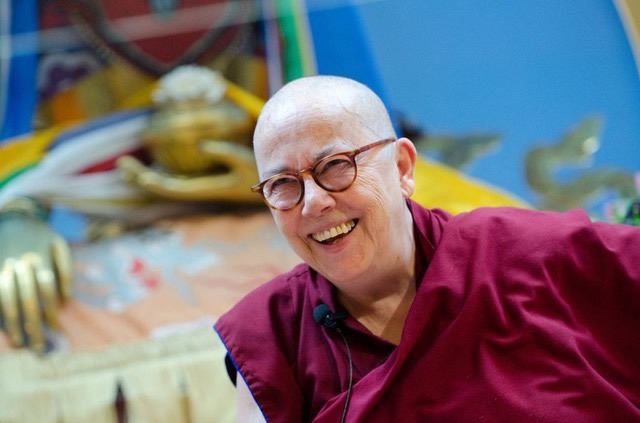 Local Tibetan Buddhist study group, Gonpo Ludup will again host Australian nun Robina Courtin for two events at Neighborhood Congregational Church, 340 St. Ann’s Dr.
Tickets for a public talk, Happy Living, Happy Dying on Friday, Aug.11 from 7-9 p.m. and a weekend workshop entitled Preparing for Death and How to Help Others on Saturday and Sunday Aug. 12 and 13 from 10 a.m. to 5 p.m. can be obtained from :medicinebuddhaoc.org. Courtin is an ex-Catholic, ex-political activist, ex-radical feminist and former bodyguard for the Dalai Lama. She has been a Buddhist nun since 1978 and is known for her 14 years of work with people in prisons in the U.S. and Australia. Courtin’s life and work is the subject of the award-winning documentary “Chasing Buddha,” featured at Sundance in 2001. A renowned teacher of Buddhist psychology and philosophy, she teaches full time around the world at the centers of her teachers’ organization, the Foundation for the Preservation of the Mahayana Tradition. 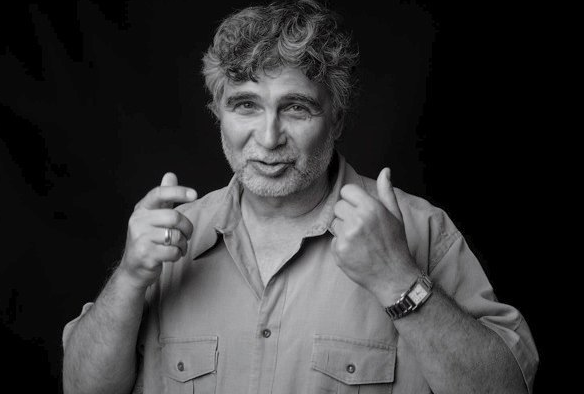 Pulitzer Prize-winning journalist and criminal justice reform advocate Maurice Possley speaks to members of Laguna Unites Huddle at the Neighborhood Congregational Church Tuesday, July 25. The Laguna Beach resident will speak to the political activists about civil rights at the 6:30 p.m. meeting, 340 St. Ann’s Dr.
Possley collects, analyzes and disseminates information about all known exonerations of innocent criminal defendants in the U.S. for the National Registry of Exonerations. They provide accessible, searchable online statistical data about their cases in order to reform the criminal justice system and reduce if not eliminate these tragic errors in the future. The 27th annual car wash put on by the Dana Point 5th Marine Regiment Support Group will be held this year from 8 a.m. to 6 p.m. on Saturday, July 22, at Doheny Village Hand Wash where water is recycled on-site at 34241 Doheny Park Rd, Capistrano Beach. Owner James Surber is generously offering car washes for the “cost” of a donation. All the proceeds will benefit the Wounded Warriors, marines, sailors and families of the 5th Marine Regiment. Complimentary coffee and baked goods await early risers and at lunch time a barbecue feast will be served. Marines will be visiting with the public as they towel dry the autos coming through the facility. Tax-exempt donations can be made by visiting http://www.danapoint5thmarines.com/ or by sending check (memo: “Car Wash”) to the Dana Point 5th Marine Regiment Support Group, P.O. Box 471, Dana Point, CA 92629-0471. 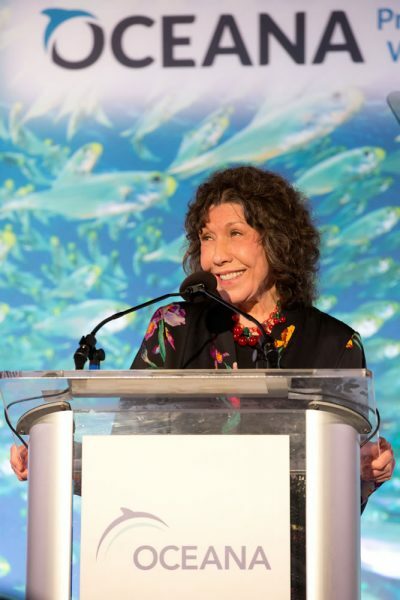 Work by actors Sam Waterston and Lily Tomlin as ocean advocates were honored by Oceana’s SeaChange summer party at a home in Laguna Beach on Saturday, July 15, and helped raise over $1.2 million for ocean conservation, says an announcement. Also honored were ocean champion and local resident Anne Earhart and Herbert M. Bedolfe, III, both involved in the Marisla Foundation, for their commitment to the oceans. Actor and Oceana board member Ted Danson mingled with the 400 guests and led the night as master of ceremonies.